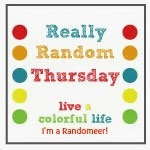 Live a Colorful Life: May Giveaway Day! Today is May Giveaway Day at Sew, Mama, Sew! And here is what I'm giving away. A one-of-a-kind pincushion made from selvages (I may have mentioned a time or two how much I love selvages). And since it is a giveaway sponsored by Sew, Mama, Sew!, notice what it says in the very center. Yes, I spent a lot of time going through bags of selvages trying to find the words to piece together. And this is the pincushion back. The funny thing is, there is certainly NOT extra money in the budget. Not my budget anyway. Because I keep spending all my extra money on fabric. There are a lot of pincushions for sale in my new etsy shop, Sewing on the Edge. In the meantime, for a chance to win this pincushion, visit Sewing on the Edge and tell me which is your favorite. Then just come back here and leave a comment. This giveaway is open until May 20, so there will be plenty of time to make your choice. I'll be happy to ship internationally, so if you are visiting from outside the United States, don't let that stop you! My favorite is definitely the one you are giving away, but it was such fun to visit your shop. I guess I'd have to say the HR Lightning Bugs and the Block Party pincushions are my favorites. Fun giveaway! OMG; you are so clever and talented!! WOW, they are all cute, but if I have to make a choice, it must be the "Garden Party". Thank you for the oppotunity to win one of these lovely pin cusions! I really like 'Lightning Bugs'. Your giveaway is so cute how you managed the 'sew mama sew'. I like them all and love the fabric on the one you are giving away but I also like the Ooh La-La as I like French sayings. I think this is such a cute give away. 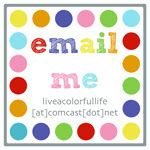 I'll add a link at my blog as I'm also doing a give away! I love pink, so Lightening Bugs was my favorite. Thanks for participating in SMS Giveaway Day. I like the lightning bugs the most, second choice would be block party. Great use of selveges! i would have to say tea party pin cushion. those colors are great!!! i love your pin cushions. come on over for my giveaway. Your giveaway is so cute! I love the tea party pin cushion. Marked it in my favorites. I will definitely visit your Etsy shop again. Also became a follower so I can check what you are making next. I have to say the sewing one is my absolute favorite. Second would be the lightning bugs. They are all wonderful. LOVE wedding reception! what a cute shop...love all your pincushions! Sorry, but I can't pick a favorite... they're all so fun and unique! I love that they all have themes, and your "Sew Mama Sew" is fantastic! What a lot of work... picking out and planning all those themes! Way to go, Cindy!! I like your shop header, too... perfect! "Making Music" is my favorite but it was tough choosing just one! Your new shop looks great! I agree, the one you're giving away - you've out done yourself. I don't know how you're going to be able to let it go! Next favorite - the Roman holiday pin cushion on your site. I'm loving the Lightning Bugs pin cushion and the one you're giving away the best. Thanks for a great giveaway. my favorite from your shop is the lightning bugs pin cushion. it's dreamy! Oh my GRAVY, I love those. The one you are giving away is my favorite, but I love Midnight star, too. I think I found my new presents for my favorite sewing circle ladies! I love the back of that pin cushion! I think it is more "aspirational" than realistic :) I think the European Adventure and the Block Party cushions are great! my fav is the European adventure one! wow...I love all of them but if I'd have to pick, Lightning bugs is my fav.! Thanks! My favorite is the Wedding Reception pincusion. What a great idea! My favourite is garden party or the one you demonstrated with. I think I like the lightning bugs! I could not pick!! All very fun! Great idea! Love your give away cushion...thanks! I love the Lightning Bugs pincushion! So Cute! I love the one youa re giving away but I also love the ooh lala one. I love selvages too but am new to sewing so don't have very many lol. Love these, especially Midnight Star. Thanks for the giveaway! I'm in love with all things Heather Ross, so I would definitely choose Lightning Bugs. Your pincushions are amazing! Oh, the irony! I love it. Block Party is my favourite from the shop. FUN FUN FUN! It almost makes me want to be a pin so I could live in one of these FUN pincushions! My favorite on etsy is European Adventure. They are ALL cute. Now that is CUTE!!! I love the colors in the Block Party pincushion! Oh my, these are beautiful! I love them all! The midnight star pincushion is so striking. Thanks for hosting a great giveaway. I like the Lightning Bugs pincushion, but they are all great! My absolute favorite is the sewing stuff one, hands down. LOVE IT! From those at your Etsy shop I think the Tea party one is my next favorite. Love the colors. Great idea! Block party is my favorite. I love the Lightning Bugs one! What a cutesy pincushion! I'm just getting in to sewing and I still use my standard issue tomato pincushion my mom handed down to me. I love your giveaway one best, and second best I like the red one, the first one on the page. I've managed to forget what you called in since I looked at it like 10 seconds ago! I have the same problem as you! There is no more money in the budget because I keep spending it on fabric too! Glad I'm not the only one with this issue. Lighting bug is probably my favourite of your pin cushions. What an adorable idea to use the selvedge edges. I really like block party - probably because I just adore anything teal! The 'Lightening Bugs' cushion with the sea horses is my favorite! i love pincushions! any and all! especially made with selvages!!! LOVE block party. I'll let you in on a little secret, the back of your giveaway is also the back of mine! Come see - my giveaway is selvages, too! Good luck with your new shop. How fun is this! You are so creative to make up this special pincushion for the giveaway. I checked out your shop and I love them all. But especially the Lightning Bug. So so cute! My pin cushion is in rough shape - I'd love a new one! I like the Block Party--Selvage Pincushion. Thanks! Love the Ooh-La-La one! And this one is super clever! Great work piecing it just right! Another very cute idea using selvages! Thanks! These are lovely-love the GardenParty pincushion best! I <3 the Lightening Bugs pin cushion! Sew Cute! :-) Great giveaway! Thanks! My favorite is the one in the giveaway, because I LOVE the back! I love the one you are giving away but the Far, Far Away pincushion is too cute as well. how are you suppossed to pick one when they are all so darn cute! I like ALL of them! I know that's not the point .. so I suppose I could pick one (the lightning bug is darn cute) .. but I really like the one on your giveaway. My budget is blown due to fabric and sewing, so it made me chuckle. i love the one you have here, and also garden party! so cute and clever!!! I love the one you are giving away!!! In your shop, I love the lightning bugs one. Thanks for the chance to win! i love the "lightning bugs" one!! So hard to choose! I like the Block Party one best, I think. I love the Parisian "OOh la la" pincushion - very stylish!! Oh my I love your use of selvedges....I am so inspired! I love them all! I'm almost speechless from the cute! I think my favorite pc from your store is the garden party one, but tea party catches my eye as well :) Thanks for such a lovely giveaway! I like the block party one and the sew mama sew one on your blog. Great giveaway! I like the midnight star salvage! I would have to agree with others, I'm sure, that the one you made for the giveaway is my favorite but my next favorite is the Lightning Bugs. Thanks for giving it away! I love the aqua one on the bottom row -Block Party. I love the colors in the Block Party pin cushion! Ok so out of all of them my favourite is the giveaway one because of the fun fabric on the back. But out of the ones in the shop it would have to be Midnight Star, got to love those colours together. I'm having a giveaway too would love to welcome you over! Lightening bug for sure. All are really cute and I'd love to have any one of them in my sewing room. Thanks for the chance. I love the oh la la pin cushion. I love the neutral colors you used. The pincushions are lovely, and the themes are so clever! Love European Adventure (and of course Sew Mama Sew). Sew cute!! My fave is 'European Adventure' because I'm due to have one in September for my 30th!! Oh, awesome! I love the one you're giving away! But I can't choose which I like better in your shop: Block Party or Midnight Star. They're so fun!! I really like the midnight star - but not as much as the givaway one. I love that it has sew mana sew on it! I just realized I have a thing for pincushions. After having all my pins in a small bowl, it's wonderful to be able to pull one out of a cushion. I made a few but filled them with polyfill. I had heard about the walnut shells but haven't had a chance to try that out. Your selvage pincushions are wonderful. I loved Midnight and Tea Party. They look like a lot of work! Thanks for the giveaway. my fav in your shop is the garden party..... lovely!!! Lightning Bugs--Selvage Pincushion, but I don't know that I could bear to put pins in any of them. I'm going to start saving my salvages! What a cute idea. I really like the block party! my favourite is the one you are giving away, so it's just perfect! i love your use of selveges and i think it's an amazing detail that it reads "sew mama sew". also, i find it familiar that there's no extra money, i spend it on fabric too, so the sentence is the funniest irony possible! your giveaway is just amazing and the winner will be very lucky! I think the one you are giving away is my favourite! But if I was going to tell you may fave from the shop it's the Block Party cushion. You are very clever! I really like the Ooh La La one - the black and tans are so nice together! I'd love to win!! Wow, these are really unique. I love the pincushions. My favorite from your shop is Lightening Bugs. I really like the Tea Pary one. What a fun idea for those bits of fabric. my favorite is the lightning bugs one. Adorable. Thanks for the chance to win. love the "block party" pincushion! great colors! OOH LA, LA pincushion is darling and I really enjoyed your shop too!! That is SUCH a great pincushion! I love Lightning Bugs and Garden Party. They're both wonderful! The midnight star pincushion is really cute (as they all are of course!). Thanks for the chance to win. We're almost neighbors - I'm in Madera. the oh la la is very cute.. Oh my goodness... they are wonderful..
but I love love love the sew mama sew. since I just bought my first real sewing machine and I am a mama. I love how you put sew mama sew on it! Making Music is my fave!!! I love the lightning bugs one! I loved the "Lightening Bugs" very unique!! Love the colors on BLOCK PARTY! the "sew mama sew" combination is so cute :D i like all the pincushions in your shop, i guess i like the Wedding Reception the most since i like flower prints. thanks for hosting the giveaway! I like the colours on the wedding collection. a great idea for the selvages. From the shop, my favorite is definitely Lightning Bugs, but the one that you are offering for your giveaway is so totally my fav! It says it all! Thanks for doing such a fun giveaway! OMGosh I love these. If I have to pick one I like best is would be European Adventure. I'm collecting all my selvages too. This is a great idea! Thanks for the chance to win! I really like 'Block Party.' I too have a love of selvage, so I find your pincushions to be wonderful! I have to say my fave is Midnight star but I think they are all so smart! I love the idea and I need to start saving my shelvage! toss up between lightning bugs & block party for me. How cute these are! My favorite is the one you are giving away! My favorite out of the shop though is the Lightning Bugs one. Thanks so much for such a great giveaway! It may seem obvious, but my favourite was your HR Lightning Bugs! Love it. Thanks for the chance to win. How clever are you, piecing the words together like that! You've inspired me to start collecting selvedges. The lightning bugs is my favourite pincushion on your shop. So sweet! sorry for the quick post dd wants a bath! Please enter me! I am really enjoying wedding reception, but the lightening bugs are awesome too! My favorite is the Block Party cushion. I love your pincushions! And to think I've just been throwing my selvages away! I like Block Party--the colors are so pretty! Well to be "legal" I like the lightning bugs. Really, my fav is the one you are giving away because it is the perfect memento for the sew mama sew giveaway. I love the lightning bugs pincushion. I should send you all my selvages! Great pincushions! My fave is the Garden Party. Love it! So special with the Sew, Mama, Sew in there! Thanks! That is such a cool idea. I love it! I would love to have any of these fun and happy pincushions! My favorite is the one you are giving away! Love the red! My favorite is the one you're giving away (the back is awesome...where did you get it!? ), but I also love the lightning bugs and the wedding reception ones. These are awesome! Wow, wonderful - I would love to win. I love your pincushion - I've only just discovered selvedges and now I'm saving hard!! My favorite it Lightning Bugs. I love Heather Ross, and it is my favorite of her collections. I love your pincushions! My favourite one is European Adventure. What a great little pincushion. I love the idea of using the selvedge. hi.i love all the pincushions on etsy but i especially love the ooh la la pincushion. It was a toss between block party and lightning bugs but the colours of the block party is so bold and vibrant and something fun. I think you're so clever to come up with these. Love these, and the stories behind them. My fave is Lightning Bugs. Thanks for the chance to win. I think my favorites are Midnight Star and Ooh-la-la. I love the pincushion you're giving away. Where did you find the comic strip fabric? I must have some! I love your work...my favorite is the one you are giving away. How cute are those pin cushions?! Love them! Wow! Neat! I love your Block Party pincusion but I think my favorite is the one you're giving away! Thanks for the great giveaway! my favorite is the garden party pincushion. it would go perfect with me and my house because I am in LOVE with my garden! Garden Party is my favorite pin cushion in your shop. I love them all, especially the sew mama one. love me the lightning bugs one but the wedding reception is a very close second. My favorite is the one you are giving away definitely (the comic about the sewing clinches it) but second is the making music! your pincushion are lovely, I love this way of using things I'm always sad to have to thraw away ! i love the "Block Party--Selvage Pincushion"
Crazy-cute giveaway! Thank you for putting together this creatively awesome prize--I love how you have spelled out things with the selvage words--very original! ohh la la - that would be my favorite. They are all nice and what a great idea! Very clever. I like them all. Such a good idea. Ditto to my comment on the earlier post, what a fabulous idea! I love the one you are giving away! I absolutely love your giveaway. What a great giveaway. My favorite pincushion in your shop is the European Adventure. It is so cute. Thanks for the chance to win. I love the tea party pincushion, but the sew mama sew one is super cute, what a great idea to use and be creative with those selvages. I love the block party cushion! !